In the days before the internet ruined all of our favorite urban myths (so John Denver wasn’t a sniper in Vietnam?) I remember hearing about a French guy who flipped out on a Greyhound. Now as a guy who rode a Greyhound from Flint Michigan to Washington D.C. once I could totally get why someone would flip out over being in a Greyhound. But in actuality the reason was he was freaking out over the length of the trip. Basically, he (according to the urban myth) bought a ticket from New York to…I don’t know…San Francisco. And after 40 hours or so when he realized he was only in Omaha he went off the deep end and tried to shoot the gremlin tinkering with the brake lines outside his window. Now don’t get me wrong, I am assuming it’s about as true as John Denver sniper story. But you can’t help but…wonder. For one thing, every Greyhound bus I’ve ever been in seems like it is halfway through a hatchet job by a Twilight Zone gremlin. And second…well, the United States is big. If you are French you already can see it’s big on a map. But maps sometimes don’t prepare you for real life. I had a conference in San Juan, Puerto Rico in October of 2016. I arrived in San Juan a day early and decided to spend a little time exploring the Caribbean. I didn’t have much time; I’d be flying out on October 16th and flying back the next day. 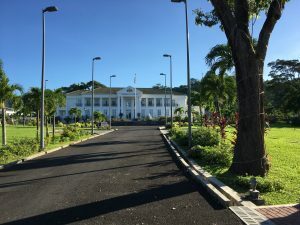 But I figured that would be enough time to either sit on a beach for a few hours or wander through a small capital city on one of the island nations that make up the Lesser Antilles. I had a soft spot for Dominica and found a ticket with Liat for $213. It seemed reasonable…sure I’d be spending around $300 for a day in Dominica. But I justified it by thinking about all the stupid things I ever paid $300 for. The flight left at 2PM on October 16th, and although I could understand why so many people hate LIAT, I myself had a good flight to Dominica. 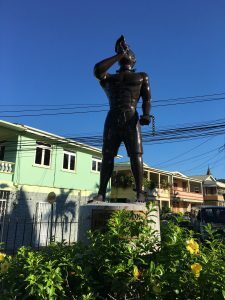 It was a short one hour and 45 minute flight to Douglas Charles International Airport and although I had to fly back at 10:45 AM, I figured I’d have enough time to explore the capital of Dominica: Roseau. From what I could tell it was a small city and it hardly seemed unreasonable to think I couldn’t see a fair portion of it in a day. So let’s get back to that French guy on the Greyhound. As an American we sometimes have the same response to new places as that mythical French backpacker…only in reverse. We know what 18 miles means in the United States. It’s a trip to Walmart. It’s picking up the kids from daycare. It’s a morning commute of no more than 30 minutes. So when we look at a map of Dominica, see that it is only 18 miles from one end of the island to the other we instinctively end up on I-75 or I-10 calculating distances as if Dominica had a highway running through it. I saw 18 miles and I sort of ended my inquiry there. 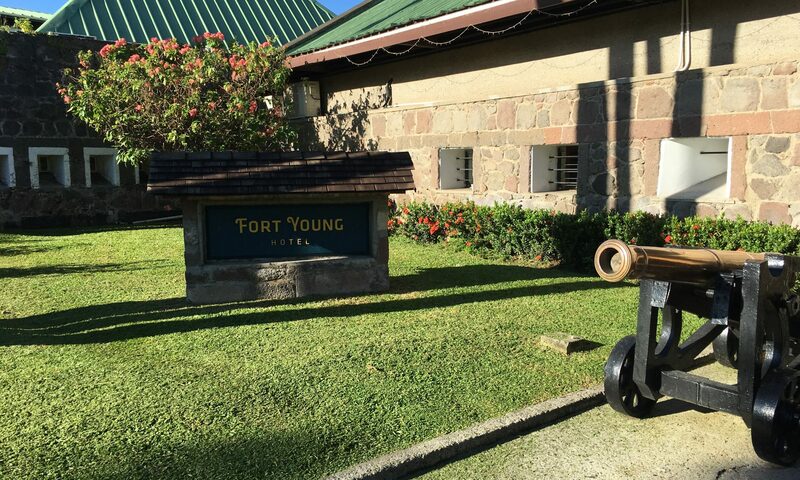 How long could it possibly take to get to the airport to the Fort Young Hotel in Roseau? It was only 38 miles away after all. Well, as it turns out…about 2 hours and $80 each way. I booked a room at the Fort Young Hotel since I was able to book it at a discounted rate on Hotels.com (it ran me $125) and I did not anticipate an extra $160. 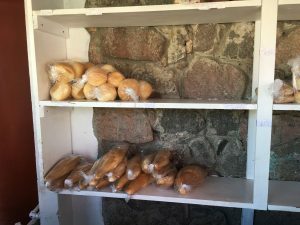 My day trip to Dominica was now in the $500 range…and I still hadn’t budgeted food in yet. Fortunately for me I befriended a Canadian vet on the plane ride over and she hooked me up with a ride to my hotel for free (and even got my driver to cut me a deal on the return trip the following morning). And it was an awesome drive. Julie was a great travel partner and the drive was, well, it was an adventure. The roads were less than stellar and I couldn’t help but wonder why they put the airport so far from the city. But that just added to the overall fun of the trip over to the hotel. Unfortunately by the time I reached my hotel the sun was going down. And with me having to budget two hours to get back to the airport I was now looking at having to leave at around 7AM. I was bummed. This was looking like a wasted trip. Nonetheless I checked into my room and was more than happy with the Fort Young Hotel. It had a friendly staff and an amazing view of the ocean. My ocean front room would have been great…had I arrived a few hours earlier. I grabbed a sandwich at the bar and went for a quick dip in the pool before I decided to call it a night. I was going to have to see Roseau between 6 and 7 AM tomorrow, which meant I would need my rest. The day in Dominica wasn’t as bad as you would expect. I woke up early, sat on my balcony for a spell and looked at the ocean, and then hit the city. Now obviously everything was closed, although I did get a chance to buy some souvenirs from a few early morning vendors. 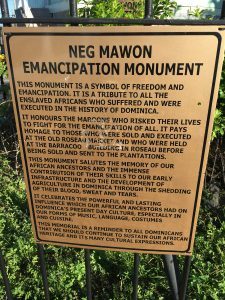 I decided to pass on the botanical gardens (we drove through it on our way to the hotel and I realized it was something I didn’t need to really visit) and instead walked next door to the Office of the President before heading a few buildings down to St. George’s Anglican Church before walking over to the Neg Mowon Emancipation Monument. A quick walk to the docks followed and then a quick stroll to what I assumed was the French quarter before I had to head back to meet my ride. But before we left town there was one more stop I wanted to make. I hadn’t had traditional “Dominican” food and I didn’t want to leave the country without saying I tried something, anything, Dominican. So I had my driver stop at the Sukie’s Bread shop. 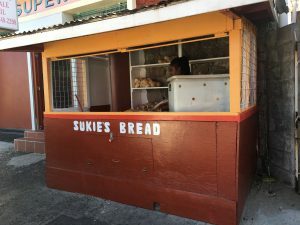 I wasn’t sure what Sukie’s Bread was, but I saw it everywhere as we drove into town and I figured this would be my one chance to try something 100% Dominican. In the end…it was bread. 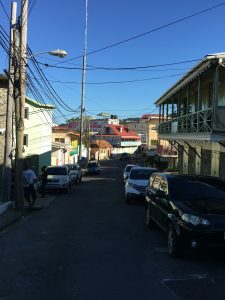 We took the long trip back to Douglas-Charles International Airport where I was told I would have to pay an exit fee of $23 to leave the country. 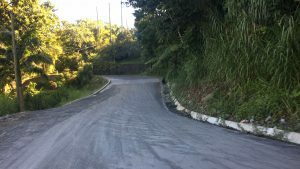 So my trip to Dominica, with its one hour of wandering, ran me about $500. I know I like to wander, but in hindsight I should have probably researched a bit more for this trip. 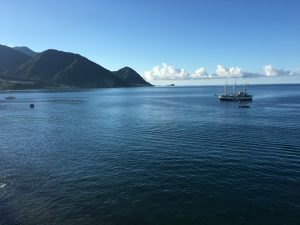 In the end, if you go to Dominica…plan on spending more than an afternoon there. 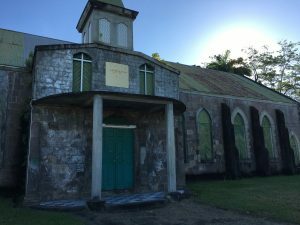 The recovery from Hurricane Maria is underway and a quick search on Hotels.com shows that the Fort Young Hotel is back in business, and a stay there alone is almost worth a trip to Dominica. It’s hard to pinpoint what would be the closest thing to boxing’s Mecca, but a strong argument would have to be made for Havana, Cuba. 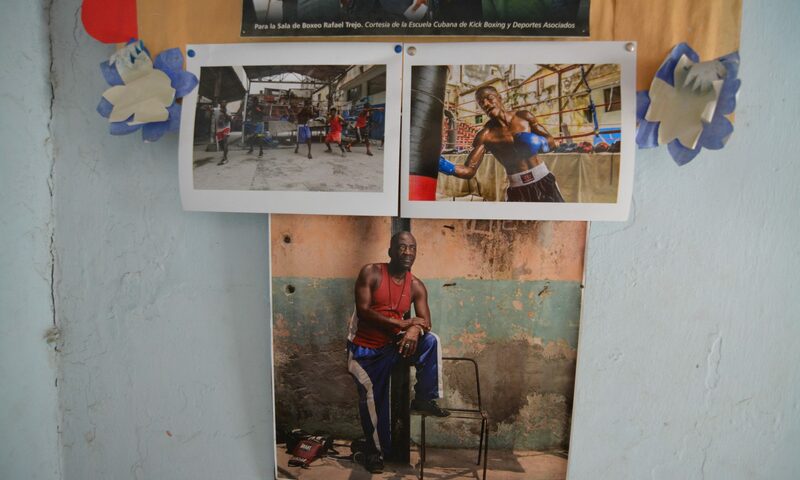 It is arguable that there is no other place on the planet where boxing has as strong a fan base, thanks in large part to Cuba’s success in the Olympics. 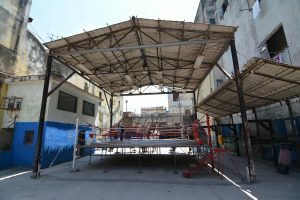 Since 1968 Cuban boxers have won gold an astonishing 38 times, and almost all of those fighters have developed their world class skill in one of the most famous boxing gyms the world over: The Rafael Trejo Gimnasio de Boxeo in downtown Havana. It is a boxing gym that has seen their share of world class fighters over the years. Well, you can add one more to the list. Accra, Ghana’s Isaac Dogboe stopped off this afternoon (October 24, 2017) to do some pad work and breath in the atmosphere that is Cuban boxing. And after several rounds of shadow boxing and on the pads it was clear that quite a few of the local kids who gathered to watch Dogboe workout were now fans of the undefeated junior featherweight contender. And perhaps more notably, the coaching staff at the Rafael Trejo Boxing Gym were impressed with Dogboe as well. Dogboe was appreciative of the opportunity to workout at the historic gym. Dogboe was nonetheless humbled to have worked out in such a legendary gym. 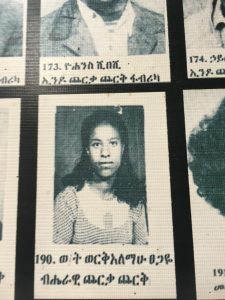 As I stepped into the main terminal at Bole International Airport in Addis Ababa I couldn’t help but ask myself why Togo had to make things so damn difficult. 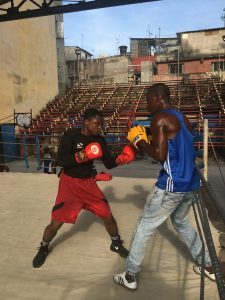 I had gone to Accra, Ghana to cover a boxing show and my original plan was to spend a couple of days traveling overland to Togo, Benin and then Nigeria. It would have been cheap and from what I could tell it would have been one heck of an adventure. In particular I was interested in the Akodessewa Fetish Market just outside of Lome, which was apparently the largest voodoo fetish market in the world. Reading about it on Atlas Obscura made it sound like the sort of place I needed to check out, at least once in my life. It was something right out of an Indiana Jones movie and I was gun-ho about having my own Dr. Jones adventure (at least one with the cool locations. Truth be told I didn’t want to deal with melting Nazi faces and Indian death cults leaders trying to rip out my heart). But then came the visa process, and I suddenly understood why Robert Kaplan was so critical of West Africa in his book “The Coming Anarchy.” Togo was 128 miles from Accra, and Lome was just across the border. From Lome I would just be 48 miles to the first town in Benin: Grand Popo. All in all I could catch a TroTro in Accra to the border for about $5 and then splurge for a cab in Lome (which according to Wikitravel would set me back a cool $2.16 for a ride to Grand Popo). I was stoked: I was about to cover two countries in three days…all for under $10. From Grand Popo I assumed it wouldn’t be more than $10 to make the 123-mile journey to Lagos, Nigeria. But then came my first hurdle: I didn’t have a multiple entry visa for Ghana and I couldn’t get a straight answer as to if they were available at the border between Ghana and Togo. I was facing the prospect of having to go to the Ghanaian embassy and getting another visa, which from what I could tell might run me upwards of $100 since I would need it the following day. Then I would need to get a visa for Togo, which would run me $140 for a single entry visa. Although the website for the embassy of Togo made reference to multiple entry visas, I couldn’t find a price for that, which led me to assume that the multiple entry visas I would need for Togo could run me as much as $280. 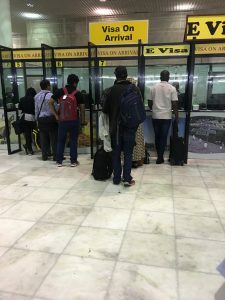 Finally there was Benin, and their $140 visa fee for a single entry visa…which meant my trip to Nigeria could end up costing me $280 for two separate single-entry visas in Benin as well. Finally there was Nigeria’s $180 visa fee, which pretty much killed the planned overland trip through West Africa. 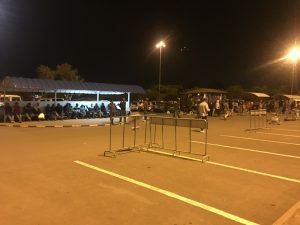 My $20 bus and cab ride from Accra to Lagos was now looking to run me as much as $840, and as I didn’t have time to get the visas in the States I was unsure of how successful I would be getting the necessary visas in Accra. But it did lead me to an interesting discovery while researching if I could fly from Lagos to Accra without dealing with reentry in Togo or Benin: Ethiopian Airlines flew from Accra to Kigali. Rwanda and that included a layover in Addis Ababa. 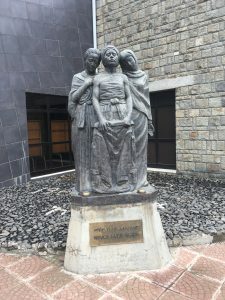 Rwanda was high on my list of countries I had to visit, and although Ethiopia was not exactly a nation on my radar, realizing I could visit the country immediately had me hooked. And reading about Ethiopia online I saw three of the most welcome words to any traveler in Africa: visa on arrival. It wouldn’t be outrageously expensive ($50, which was a bit steep but certainly a lot more reasonable than the $180 that Nigeria required) and I could get it at the airport when I landed. I switched my search to a multiple-city search on Kayak and was pleased to see that the price didn’t jump up much. I would be looking at $602 for the roundtrip ticket from Accra to Addis Ababa with an overnight in Addis before I headed out to Kigali. The flight arrived at 9:00 PM and my flight to Kigali would depart the following night, at 10:45 PM. It gave me pretty much an entire day in Addis Ababa, which was an opportunity I wasn’t going to pass up on. I won’t lie; I was expecting bureaucracy and a line that resembled the opening night of a Star Wars movie at the one counter for visas at Bole International Airport. But although it wasn’t exactly free from bureaucracy and long lines, they seemed to move well and I was able to get my visa (paid in cash with US dollars) without much drama. I then changed my currency and discovered that I had somehow wasted over 90 minutes since landing. I couldn’t blame it on the airport or the lines. Somehow I found a way to dilly dally in the airport for over an hour (twice I left the line for visas to look for a squirrel). I had made arrangements to have my hotel pick me up and I was certain that the driver had assumed I missed my flight and left. It was after 10pm and I was assuming he had better things to do than sit in the airport parking lot all night. 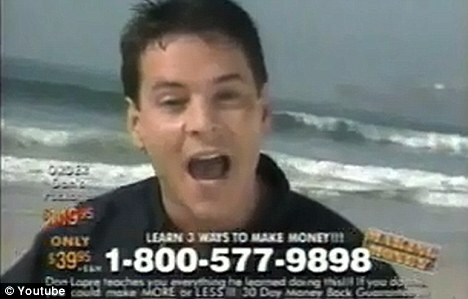 After all, the hotel I booked, Hotel Lobelia, ran me a mere $51 on Hotels.com. It wasn’t reasonable to expect a $50 hotel room to come with a driver waiting for close to two hours at the airport. What better way to spend a Saturday night? Fortunately for me Hotel Lobelia was all about exceeding expectations. Waiting for me was my driver and the van from Hotel Lobelia. The hotel was a mere ten minutes from the hotel and I was able to get checked in quickly and call it a night. The following morning I had something that sort of resembled an agenda in place. 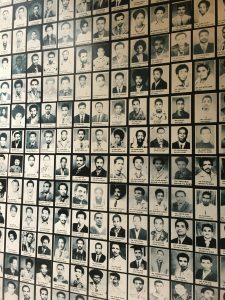 The Red Terror Martyrs’ Memorial Museum was going to be the first stop, and if need be the only stop. 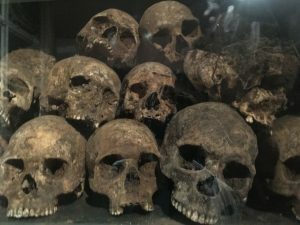 I was a day away from Kigali…and the genocide memorials and museums documenting the terror of the Rwandan Genocide. But in a strange way I felt that this was something arguably more important. The Holocaust is forever seared in our collective memory. And for me Bosnia and Rwanda were equally traumatic since I could remember watching them unfold. A handful of brave journalist risking their lives to document the horror unfolding…and challenging the world to stand up and fulfill humanity’s most empty promise: never again. Sadly the world chose to not to intervene. But we couldn’t ignore. 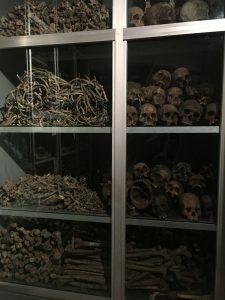 Even in Cambodia we couldn’t ignore as the aftermath of the genocide came to light. The Red Terror was a genocide that the world didn’t forget…it was a genocide that the world never paid attention to at all. 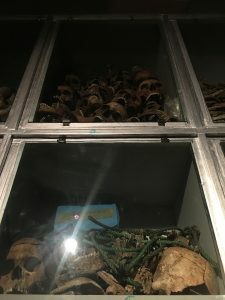 It was a genocide that didn’t end with rebel soldiers liberating the oppressed, or American and NATO bombs forcing the Serbs to the negotiating table, or even the Vietnamese invading out of general repulsion at the horror unfolding next door. It was a genocide that just slowed down after they ran out of people to kill. 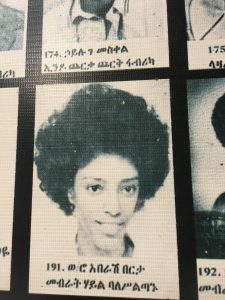 And then it simmered for another fourteen years before the man behind the madness, Mengistu Haile Mariam, was driven from power in 1991. Sadly, the injustice would continue. Mengistu would avoid prosecution for war crimes and would find safe haven in Robert Mugabe’s Zimbabwe…where he resides today. I had planned to simply take a cab to the museum, and then just sort of figure out what was next from there. Outside the Hotel Lobelia I encountered Zelalem Chanyalew, aka Zola Rich. 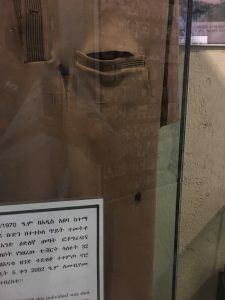 My first response was dismissive, he offered to take me to the museum for 200 birr (about $8), which I balked at (I was told it would be around 150, or a little under $6). But I nonetheless hired him with the intention of just getting to the museum and then playing it by ear. He then made me a deal I couldn’t refuse. I could hire him for the day for under $50 USD. Considering I had to be back at the airport later that afternoon and considering how spread out Addis Ababa was it made a lot more sense to tackle the city this way than to aimlessly wander from location to location. 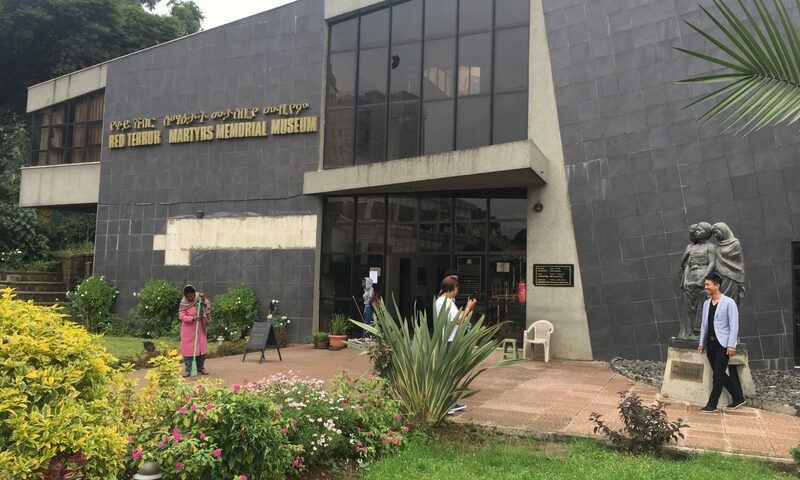 The museum itself, which was technically free of charge, was a somber and yet fascinating history of a dark chapter of Ethiopia’s history: the history of the Derg. The Derg was the name given to the Communist military junta that overthrew the reign of Emperor Haile Selassie I, setting up the People’s Democratic Republic of Ethiopia. Jon Stewart made a joke in his book America about how the more number of inherent lies in a countries name was directly connected to the level of oppression of that country (just pick up the book yourself, it is a lot funnier in print and a lot funnier when told by Jon Stewart. You can find it on page 185). 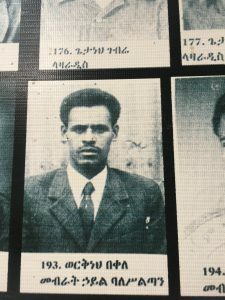 Needless to say the name change from Ethiopian Empire to People’s Democratic Republic did coincide with a transition from an undemocratic monarchy that nonetheless had some positive qualities to it to pure hell on earth. The museum discussed the coup that lead to the fall of the Empire and the rise of the Derg before they went into the genocide that followed. 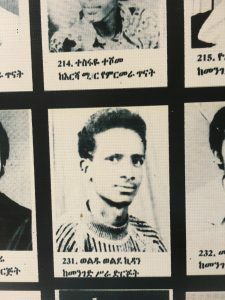 As with most genocide museums, the image and photos of the victim’s portraits hits you harder than anything else. You can’t help but relate to them when you see them staring at you. Some of the photos appeared to be mug shots, but most appeared to be portraits. Some of the people were smiling, although not all. But regardless of if they were a man or woman, or if they smiled or tried to look serious…the knowledge of what was to follow after these photos were taken was powerful…and horrifying. 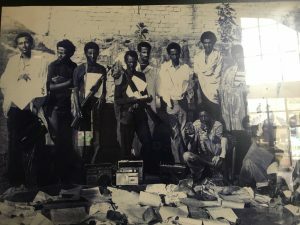 The display then featured photos of Derg loyalist in the height of the Red Terror, rounding up suspects (most who would be tortured and killed) and seizing “contraband” (such as radios). More victim portraits followed and then a horrific display of a shirt worn by a victim of the Derg when shot. The man survived the attempted execution but his mother kept the shirt with the bullet hole. It was harrowing…but what followed was even more powerful. 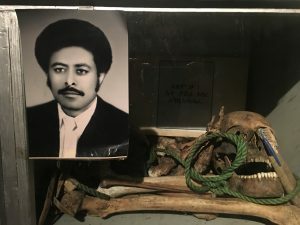 A room dedicated to the victims buried in one of 725 mass graves outside of Addis Ababa included a display of the remains of hundreds of victims. 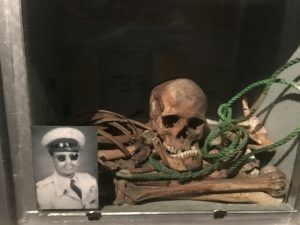 Many of the remains were displayed with the rope they were bound with and many also included a photo of the victim next to their remains. 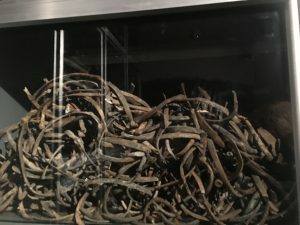 It was a stark reminder of the human toll of the Derg’s genocidal reign. As I left I took a moment to speak with an employee of the museum who had been imprisoned by the Derg as a youth. Arrested in 1974 he spent the next eight years in custody without a trail. Once he was released he was continuously hounded by the Derg and would spend the next several years in hiding. The museum and memorial was very much a gut punch, but Zola had a full schedule planned for me and once I left he drove me to our next stop: the Holy Trinity Cathedral. The heat hits you the moment you step off the airplane. A sharp humidity that reminds you immediately that you are not in New Mexico anymore. From there the second thing to hit was the bureaucracy. The immigration check, normally a formality for Americans travelling overseas, became a nail biting experience as an older man in a military uniform pulled my colleague, photographer Christopher Mills, out of the lineup and to a room in back. I had heard of the stories of what happened when you were escorted by the secret police to a “back room” in communist countries and I would be lying if I said I wasn’t worried. Eventually Mills was released, but not before being asked “do you expect us to believe this is you? !” as the military officer reviewed his passport photo. Mills, a local attorney in Hobbs, was able to plead his case and convince the Cuban government that he was not an illegal immigrant trying to sneak into communist Cuba on a forged American passport. The idea was so preposterous that neither of us considered the possibility…until it happened. Once we got out of the airport we encountered our second taste of communist bureaucratic inefficiency. Our flight from Mexico City had landed at the same time as a flight from Toronto. It was as close to being rush hour for the tiny Havana airport. But every currency exchange booth was closed sans one…and the guy working it was in no hurry to help the over 200 tourists and journalist looking to change their money. We realized we were looking at a wait of at least two hours to change our US dollars into Cuban convertible pesos. We approached a cab driver and asked him if he would take US dollars as opposed to pesos for a ride into town, something that was technically illegal. He didn’t hesitate. Our first night in Cuba was an education to say the least, but we still had a fighter to interview. Former IBF featherweight champion Yuriorkis Gamboa had done the unthinkable. Back in December of 2006 Gamboa was a hero in his native Cuba. An Olympic gold medalist in the flyweight division in 2004 Gamboa was expected to repeat the accomplishment in 2008. It was even widely reported that he was Fidel Castro’s favorite boxer. But in 2006 the Cuban national team had been sent to Hugo Chavez’s Venezuela for an opportunity to train with the Venezuelans. Gamboa saw his opportunity. He snuck out of camp with two other fighters one night and in a story that rivaled some of the greatest Cold War stories of escape, Gamboa made his way to the Colombian border where he announced his intention to defect to the West. Fidel Castro’s favorite fighter had made no secret why. Even with a gold medal he had been unable to escape the crushing poverty in communist Cuba. The one time favorite of Fidel Castro had been forced to sell his gold medal for $1,500 to help his family out. When I was a young man the stories of the defectors from the Eastern bloc fascinated me. As a child I remembered watching a film about a family from East Germany who escaped to the West using a homemade hot air balloon. The film was widely forgotten after its release in 1982 but it always left an impression with me about the lengths that people would go to reach freedom. And one of the world’s most famous defectors would be granting me an interview. Only he was granting me an interview in Cuba…the nation that he risked his life to escape! Gamboa, Cuba’s own prodigal son, has decided to go back to the country of his birth after obtaining US citizenship. Relations had normalized and he still had family and friends in Cuba. There was once a time when fleeing Cuba or the Soviet Union meant you could never return. But Gamboa had seemingly proved that things had indeed changed in Cuba. Unfortunately we missed him by a week. Gamboa had originally planned to be in Cuba when we were there but he was forced to reschedule. 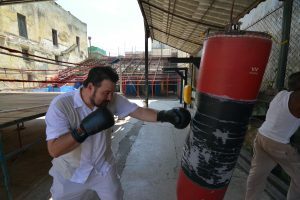 And out visit to the world famous “Rafael Trejo Boxing Gym” in Havana was not as informative as I hoped. Most of the trainers and fighters were in Rio for the Olympics. 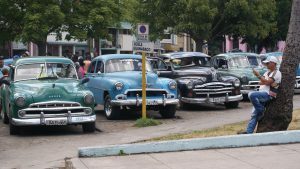 Visiting Cuba for the Lea County resident isn’t as daunting as one would expect. Flights directly from the United States have kicked off, although the easiest (and cheapest) option remains flying out of Ciudad Juarez. Our tickets over the 4th of July ran just under $400 round trip. However as an American your purpose for travel needs to fall within one of 12 “special categories” as defined by the United States government. For Mr. Mills and myself we were going as journalists, but while down there we met a handful of Americans visiting Cuba under some of the other special categories. Some were there as part of an organized tour (with was considered a cultural exchange). We even met a school teacher from Florida named Paul who took a job teaching in Havana (educational activities). Paul was an outgoing and likeable guy who made no secret of how much he loved living in Havana, a place where he would buy lobsters from the beach for under a dollar (no that’s not a typo). Besides eating lobster like it was ramen noodles Paul also spent his time in Havana posting photos on Facebook. And by posting I mean posting a lot. This was something that both Mr. Mills and I found fascinating. Meeting locals we were often asked if we had a Facebook page. In a country where the media was heavily regulated and controlled and where information was censored, it seemed that the internet was pretty much unregulated. Sure the government tried to impose some restrictions (such as requiring you to use expensive internet access cards that were next to impossible to find legally). But there were no shortage of Cuba entrepreneurs that were willing to feed the insatiable appetite that most tourist had for internet service. Mills and I purchased an internet access card from a young man outside a hotel and went to the rooftop restaurant to check our email. 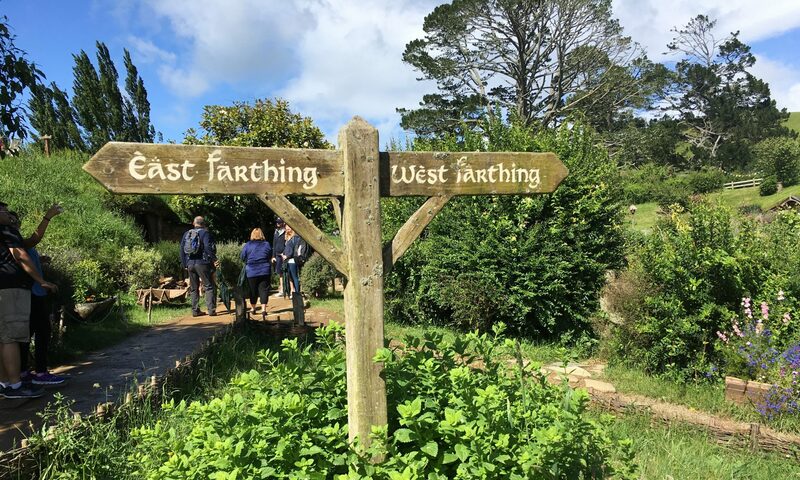 But email and Facebook was hardly a luxury for only the tourist. 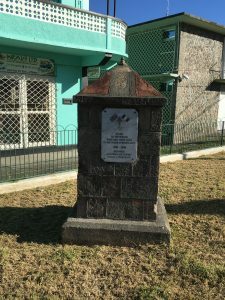 Cubans still had access to the internet and Facebook, a place where they could obtain almost all of the information that was unavailable to them through the local media (as well as all the cat videos they could ever want to watch). It was another example of how the government was trying desperately to control the flow of information only to fall far short of that goal. When I got online I decided to do a google search on Fidel Castro. To my surprise the results were not censored. And although Wi-Fi was a rare commodity, outside every tourist hotel with Wi-Fi you would see close to a hundred young Cubans standing or sitting near the hotel entrance staring at their phones. The young people were trying to catch a Wi-Fi signal and get online. A lot of people have asked me what Cuba was like, and it’s hard to give them a satisfactory answer. It is clearly a land of contrasting ideologies. It feels like a place stuck in time but every now and then you are reminded that they are running head first into the 21st century. It is a place where you will see an old Chevy Bel Air driving down the street…right past a shiny modern double-decker bus full of tourists snapping pictures of the Bel air with their digital cameras. If you are lucky enough to ride in an old Edsel or Chevy (as we were) you might be surprised to discover that the original radio had been gutted and replaced with a new stereo system with a USB port and a smartphone plugged into it. As an old car enthusiast a part of us was shocked and disappointed. But for the local Cubans this peculiar contrast was not peculiar at all…it was just life. The people of Cuba are some of the friendliest I’ve ever met travelling, and they possess an indomitable spirit that is hard to describe. They are fiercely proud of their country and their history, rightfully so, but they are also hungry for change. There is no question as you walk through the artist’s marketplace that capitalism has taken a hold, if not with the government then in the hearts and minds of the artists who will negotiate aggressively for the highest price as you browse their paintings. Every dollar you spend buying their artwork is a dollar that they keep. A dollar that they can spend on their family. A dollar that they earned. And that is something fascinating to witness firsthand. That someday very soon the Cuba we know will be forever changed. The dying ideology of communism will disappear from the island and capitalism will be as much a part of the Cuban experience as it is for the rest of the planet. For many in Cuba that day will help bring the country up from poverty and help Cuba reach its undeniable potential, but it won’t come without some sacrifices. The country may look a lot different for the both Cubans and tourist when that happens. 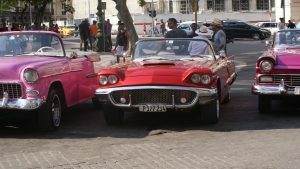 The old 50s made American cars that are as common on the streets of Havana will probably be a thing of the past as collectors gobble them up. But the benefits would almost certainly be a welcome change to the Cubans. There is something reassuring and dare I say amusing to know that the seeds of capitalism and democracy are currently taking root in Cuba despite the best efforts of the government. You can find proof of this in the street artist who as embraced the free market and who is trying to sell you one of his paintings…of Che Guevara. 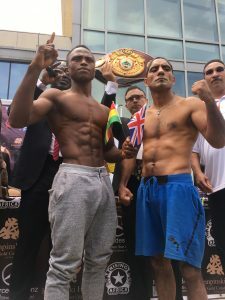 Boxing: Could Dogboe or Tapales be in line for an “interim” title fight against Juarez? Some of you may have heard the reports that WBO junior featherweight champion Jessie Magdaleno has pulled out of his November 11th title fight against #1 contender Cesar Juarez. Well, Jose Luis Camarillo with notifight.com has added an interesting twist to this story. He is reporting that Juarez and his team are looking to approach WBO President Francisco “Paco” Valcarcel about fighting the next available contender on November 11th…for the interim title. The #2 contender is Marlon Tapales (30-2, 13 KOs) from the Philippines, a former bantamweight champion. Juarez-Tapales would normally be seen as a pick ’em fight, but the likelihood of Tapalas being able to properly prepare for a title fight against Cesar Juarez on such short notice seems slim. Unlike with what we saw in New Zealand earlier this year (when Razvan Cojanu filled in for Hughie Fury at the last minute in a WBO title fight against Joseph Parker) there is the consideration of if Tapales has enough time to make weight as well. I am assuming that any decision on the 122-pound title would not be finalized until the 2017 WBO Congress, which will take place from October 23-26. If they agreed with Juarez, that would give Tapalas just over two weeks to get ready for a world title fight on the 11th. But that is assuming they try and keep the November 11th fight date. And herein lies the real drama, because most likely the October rankings will be decided during the Congress, and nipping at the heels of Tapalas is the WBO #3 ranked contender, undefeated Isaac Dogboe from Ghana. If the WBO concurs with Cesar Juarez and decides to allow Juarez to fight the next available contender for the interim title (and that’s a big if) they could end up going with Dogboe, who last fought for the WBO International Title back in July (Tapales has not fought since April in a defense of his WBO bantamweight title, as has yet to fight at 122-pounds). This in turn could force Tapales to take an ill-advised November 11th fight…if he thinks Dogboe may leapfrog over him in the world rankings during the WBO Congress. Now Tapales is a road warrior (his last three fights were in hostile territory, and two of them were world title fights) so I am sure if anyone in boxing could and would take a world title fight on two weeks notice against a Cesar Juarez, it is Tapales. But don’t rule out Team Dogboe just yet. Regardless of how things pan out, the last day of the WBO Congress will undoubtedly be a nail-biter for boxing fans in the Philippines and Ghana both. Read More Finger Post Boxing stories here!